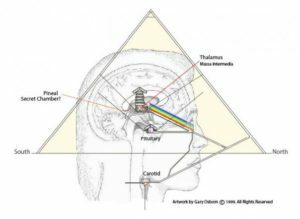 The pineal gland, or third eye, is located in the geometric center of the brain. This correlates to the location of the Great Pyramid in the center of the physical planet. It is the center for the production of the hormone melatonin. Melatonin is implicated in a wide range of human activities. It regulates daily body rhythms, most notably the day/night cycle (circadian rhythms). Environmental stresses affect pineal function, impacting overall body alertness, temperature levels, and hormone operation. Stresses that affect pineal function include unusual light and dark rhythms, radiation, magnetic fields, nutritional imbalances, temperature swings, high altitude, and overall daily stress patterns. Pyramid is a cosmic antenna. It flows three times more cosmic energy. Head Pyramids help to reduce the level of stress and tension in the physical body. 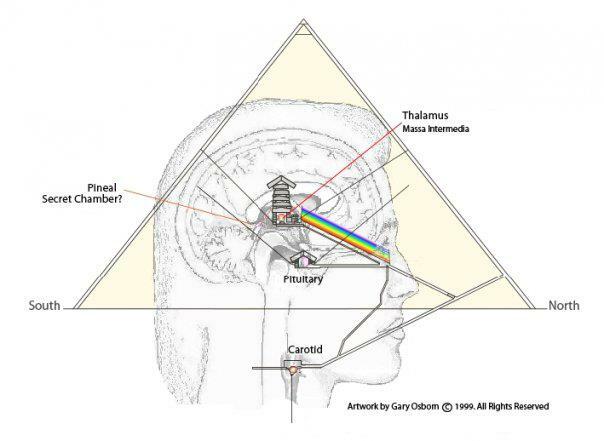 A pyramid energy puts a mind into a theta-alpha state. Raise your vibration with a head meditation pyramid, a perfect light tool.